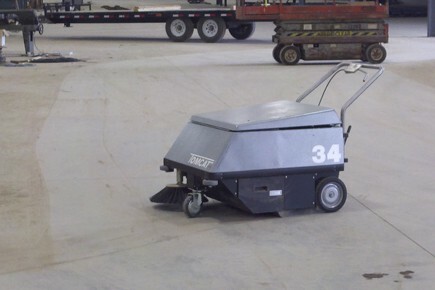 Hire the best Walk Behind Floor Sweeper for fast industrial dust free sweeping. 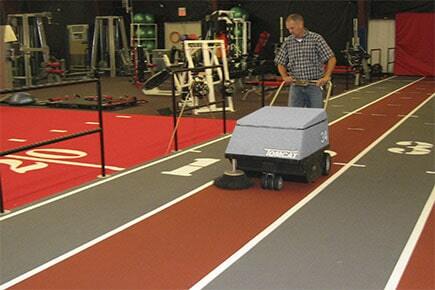 Tomcat’s Model 34 walk behind floor sweeper has been manufactured to the same tough design for over 25 years. 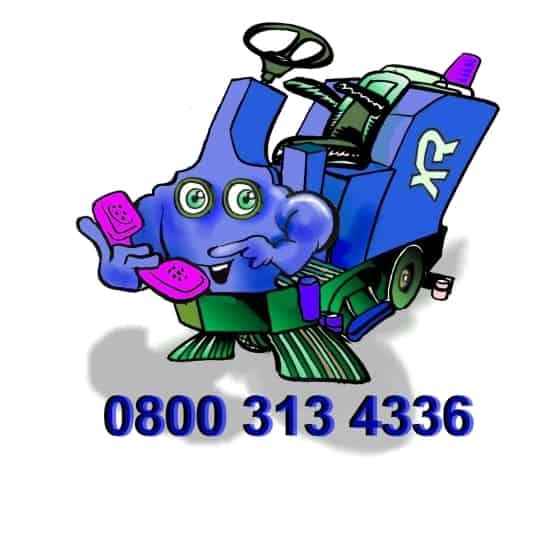 The fully floating self adjusting main broom & independent side broom for the edges packs the dirt & debris into the easy empty hopper, lighter dust is controlled with a powerful vacuum system & easy clean cloth filter. 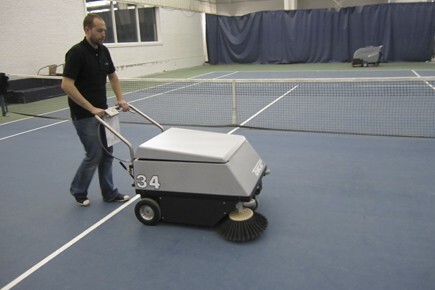 A manual filter shaker keeps the filter clean for dust free sweeping for up to 4 hours on a single charge. 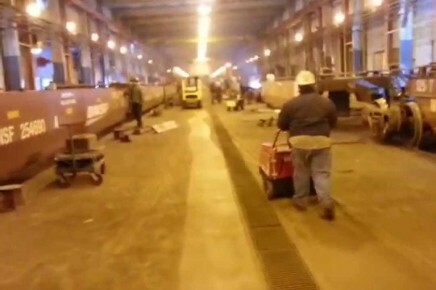 The Model 34 was designed & built with a solid steel chassis for industrial applications, foundry’s, paper mills, saw mills, mines, concrete manufacturing & bulk powder plants. 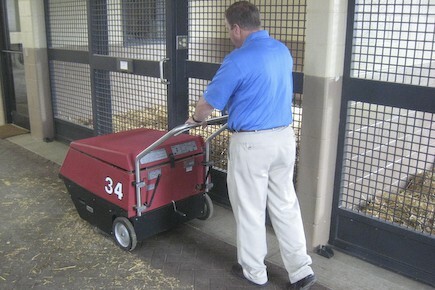 Hire a Model 34 from 1 Day to 5 Years with fully inclusive maintenance for a dust free environment. 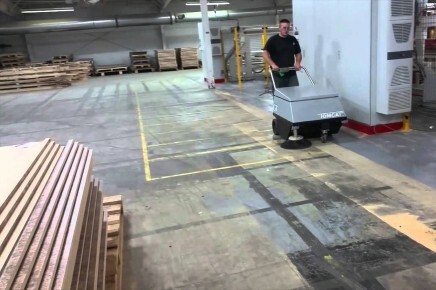 Cleaning this factory floor with a walk-behind floor sweeper is a difficult task, the Model 34 copes with the large amount of dust & debris leaving a nicer environment for the workers, preventing the migration of dust across the factory floor. 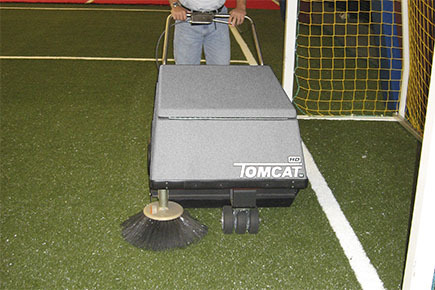 A solid steel chassis, powerful motors & unique dust filtration system make the Tomcat Model 34 the walk-behind sweeper of choice in industrial applications around the world for over 25 years. The Model 34 pedestrian sweeper uses it independently powered side broom to get right into the edge, flicking the dirt out so the main broom can collect it & pack it straight into the easy access hoper. TomCat Model 34 sweeping concrete dust in a busy factory, the main broom sweeps the larger particles into the hopper while the powerful vacuum system draws the lighter dust into the cloth filter. 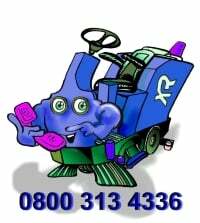 The filter can be shaken clean with the manual filter shaker or simply removed to wash & dry.